Q: My friend noticed that my cheeks are falling and I don't want surgery. Should I have a filler injected? I read something about Ulthera, is this for me? A: You might benefit by fillers and an examination by an experienced doctor can tell you what should be done to help your condition. Often a tightening procedure is done in conjunction with fillers or volumizers to improve the support of the face. If you decide on having a tightening procedure such as Ulthera, you should have this done before the fillers. Q: I am interested in having Ulthera. I heard from a friend in NYC that Ulterapy helped her amazingly. I was just about to have fillers done for my flat cheeks. Can I have Ulthera done after the fillers? A: The answer is not available if the Ulthera deep ultrasonic energy can reduce the effectiveness of fillers, so if you had the fillers then you should probably wait six months or more before you have the treatment until the research data is available. Otherwise the longevity of the filler may not last as long and you would be returning sooner than normal to have more filler. The fillers can be done the same day, immediately after the Ulthera, or a day later, just as long as the filler is not done immediately prior to the Ulthera. Q: I have a big wedding to attend in one month in NYC. I certainly don't have time to have a facelift and recover as I am too busy preparing for the wedding. What else can I do to have a younger-looking face? Should I think about Ulthera? A: It depends on what condition you have that needs correction. If there is a flattening of the cheek structure and fillers can recreate the convexity of the apple of the cheek, then the lower face may be lifted, including the jowls and sometimes the smile folds. In addition, a non-invasive ultrasound treatment called Ulthera, or Ultherapy, can help tighten the tissues. The results won't be seen at their maximal improvement for about six months, but some patients notice immediate tightening as has been seen during the development of this procedure. Q: I am scheduled for Ulthera on my whole face and neck for tightening in less than a week and now realize that I have a golf tournament in one month. Will I be OK? A: You should not have any issues after Ulthera in one month to prevent you from participating in the tournament. There can be temporary areas of sensitivity and even numbness or weakness in the face but there shouldn't be a visible negative effect, and even if there were a temporary nerve weakness, it wouldn't affect the golf performance. Q: My neck is not fat but the skin is hanging and seems to get worse as the years go by. 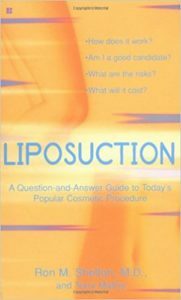 If I don't want surgery, can liposuction or Ulthera help? A: Liposuction probably won't produce the best result without fat removal. Ulthera, ultrasound energy, non-invasive, can produce significant elevation / tightening in some patients. There is minimal down time but expect up to six months to see improvement and the improvement is not expected to be the same as a neck lift. The treatment can be repeated after six to twelve months for improvement. Q: I just had Juvederm injected in my cheeks a few months ago. My doctor is investigating a sinus problem that I had for many years before I ever had Juvederm and wants me to have a CT scan. Will that be a problem in that I now have had Juvederm injected. A: No, the radiologist will have no difficulty reading the films of the CT scan because of the Juvederm. Q: I have a lot of cellulite on my thighs. Will Ulthera help that? A: Ulthera has not been cleared for such a use by the FDA but clinicians could use it to try to improve the cellulite but now that Ultherapy has been on the market for about one year, there is no proof of this device to help cellulite, but it might. It also could make it worse, no one could guarantee otherwise until a study is done. Q: I want to undergo Botox of my chin as I usually do, but now I am thinking of Ultherapy. I hope the Ulthera will tighten my face and lift my jowls. Can I do it after the Botox? A: Ulthera is done on the face but some areas, such as the chin, are avoided. 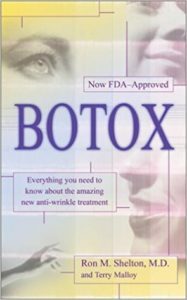 Therefore there is no problem having the Botox injected into your chin prior to the Ulthera. 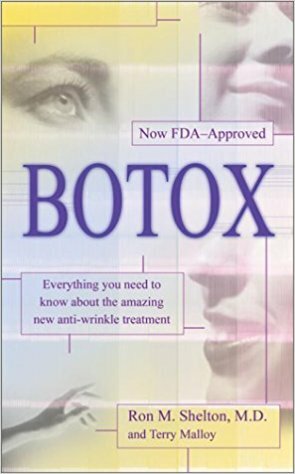 If other sites of Botox would happen to be in the location of Ulthera therapy, then the Ulthera should be done first, or wait six to twelve months before doing Ulthera after Botox.